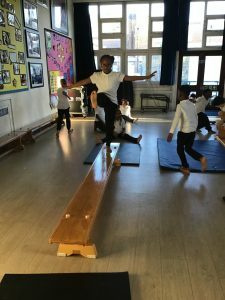 Spring 1 Week 2- Balancing Beams! 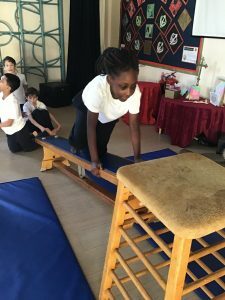 In our gymnastics lesson this week, Class 3 travelled in creative ways along the apparatus. 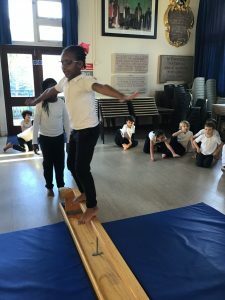 As a class, we focused on balancing. 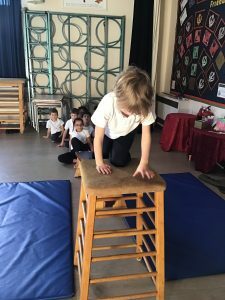 Class 3 had to demonstrate this as they moved along the beams and benches. 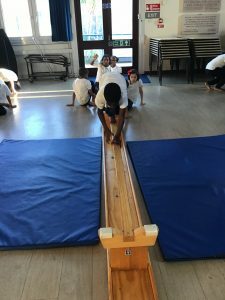 As you can see from the photos below, it was lots of fun! 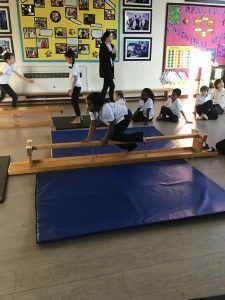 It was really fun and challenging in the gymnastics PE class. 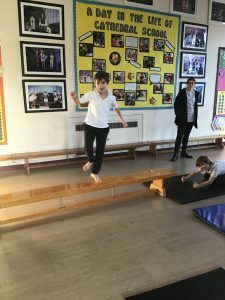 I enjoyed practising my balancing on the beams and finding creative ways to go about on them. Spring 2 Week 4- Romans on the Rampage! 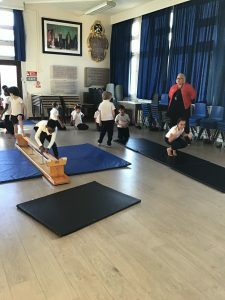 Spring 2 Week 3- Magical Magnets! Spring 2 Week 2- Strike a pose!